Many veterans are not aware VA permits jumbo high balance mortgage options much greater than the regular conforming loan limits. In fact, eligible vets purchasing in high-cost locations like Florida, California, Texas, and Arizona have VA jumbo mortgage options available up to $1,500,000. It’s important to remember that these loan amounts exceeding the standard conforming loan limits are not 100% financing like regular VA home loans. However, they do provide a viable low down payment option for many vets seeking to finance a house with little down payment. VA jumbo loans are basically VA guaranteed mortgages above the standard county loan limits. Currently, the base Conforming / VA loan limit is $484,350 for most of the counties throughout the U.S. Other high-cost cities (Florida, California, DC, New England, etc) can go as high as $726,525. Approved VA loan buyers can still purchase a house with zero down payment up to their county limit under the basic VA purchase loan. However, eligible veterans also now have Jumbo purchase options up to $1.5mil loan amounts. The VA jumbo options are not 100% financing as stated above, and will require a small down payment. How much of a down payment will depend on the loan amount and property location. Even with a small down payment the program still provides a good option for borrowers purchasing more expensive homes. 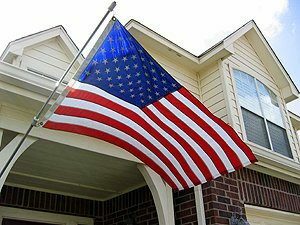 Those buyers that borrow more than the regular VA county loan limit will be required to put 25% down payment for any amount over the base county limit. Example, if a veteran exceeds the VA loan limit by $175,000 they would need to provide a down payment of 25% of that amount, or $43,750 in this case. This is often less when compared to the down payments needed by regular jumbo loans. Moreover, most regular jumbo loans generally have stricter underwriting requirements when compared to VA jumbo loans. Even so, it’s important that borrowers remember the VA jumbo options will face slightly tighter credit and underwriting standards when compared to regular conforming VA loans. Most mortgage companies will require credit scores above 620 and a lower debt-to-income ratio. Borrowers will also want to have some savings (Bank, IRA, 401K) to satisfy cash reserve requirements, generally two months of mortgage payments. Let’s look at a few VA jumbo purchase examples below. Borrowers that have questions can submit the Request Contact form above for assistance 7 days week. VA Purchase Scenario #1: VA approved home buyer in San Antonio, Texas purchasing a home for $775,000. Under 10% down payment, one single loan with no mortgage insurance! Borrowers are also encouraged to learn about regular 5% and 10% Jumbo loans here. Which jumbo option makes the most sense for you depend on many factors like credit, location and loan amount. As mentioned above, the standard jumbo loans have more restrictive underwriting guidelines. Please reach out to us above to learn more about all the purchase and VA refinance options, we have specialist ready to assist 7 days a week. Buyers can submit the quick Request Contact form at the top of this page for a fast response. Questions? Please submit the Request Contact button above to speak with a specialist, 7 days a week.